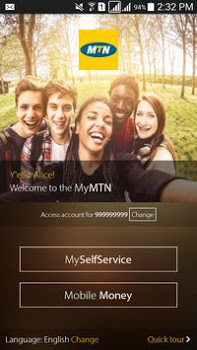 For the sake of others that don't know what MYMTN APP means, MYMTN APP is a self-service platform where you get to serve yourself on anything concerning your MTN line, without the need to call MTN customer care line or contacting them via their social media pages. Recently, Etisalat launched their own self service platform called MyEtisalat, both on the web and app, which means, you can access MyEtisalat self-service platform on the web and App. The app is available for Android, iOS, Blackberry and Windows. But MyMTN app is currently available for Android and iOS. I will provide links to download the app below. 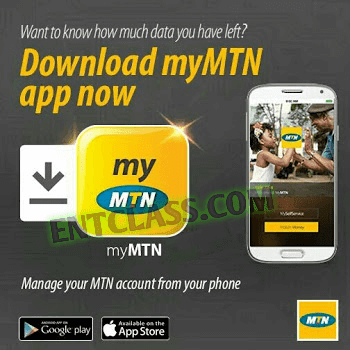 With MyMTN you can topup airtime, purchase bundles pay your bills and much more. MyMTN gives subscribers greater control of their own mobile services so that they can access services and solve issues without having to contact company representatives. WHERE CAN I DOWNLOAD MYMTN APP? It's advice able to download this app as it's very helpful and easy to operate. Serve yourself without having to call the MTN customer care service.